Nikos Miltsios' stimulating and learned book is a revision of a PhD dissertation, presented in 2010 at the University of Thessaloniki under the supervision of Antonios Rengakos, which offers us an analysis of the various narrative techniques used by Polybius in shaping his historical account and points out to the importance of his narrative artistry as well as to his narrative choices in the construction of the text's meaning. To undertake this task, the author explicitly recognises that he adopted a methodological approach developed by structuralist and formalist thinkers such as Gérard Genette and Mieke Bal, although cleverly Miltsios has not approached the Histories with a formalist analysis as an end in itself, but, on the contrary, trying to examine also Polybius' thematic concerns on Roman expansion. Miltsios divided his study into two main sections. In the first one (Ch. 1 and 2), the author analyses the Polybian prokataskeue or introduction to the Histories of books 1 and 2, while in the second section (Ch. 3, 4 and 5), Miltsios proposes an exploration of the organization of narrative time, the "focalization" techniques, and finally of the different types of intervention the Greek historian makes in the text, as well as the way in which he interacts with the narratees. 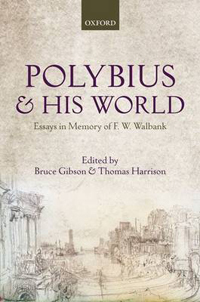 As the author states from the beginning of the book: "Polybius' narrative artistry and the literary merits of his work have... remained on the periphery of research" (1). That's relatively true. Until the publication of this book under review there was indeed no systematic book published on the topic. All in all, although Miltsios concedes the existence of some specific articles written in English on the topic during the past two decades, it is disappointing to notice the total lack of reference to important pertinent French bibliography, such as the book written by Adriana Zangara, which is largely about Polybius and on the "effet de réel" created by him through the narrative, or an article by Marie-Rose Guelfucci on the question of the relation between the Greek historian and his readers as it was also skillfully constructed through narrative. 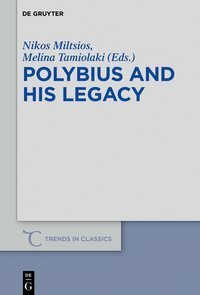 This does not detract, of course, the originality of an important book that contributes to fill a gap in the scholarship on Polybius and his Histories. In this sense, this reviewer thinks that the analysis proposed by the author on the Polybian prokataskeue in Ch. 1 and 2 contributes to understand not only the narrative techniques of the Greek historian, but also, and in a quite interesting way to modern historians, to explain "certain ideas that are essential to Polybius' interpretation of the character of Roman expansion" (6). Thereby Miltsios wants to contribute to a long-standing debate on the attitude of Polybius regarding Roman imperialism, whose main lines may be traced back to Numa Fustel de Coulanges or Franz Brandstäter in the XIX century or, more recently, to William Harris, Peter Derow and Arthur Eckstein. One of the main contributions that Miltsios makes to this historiographic debate is about the supposed date for the transformation of Rome into an imperialistic power, and Miltsios' answer is that since the episode of Rhegium and the outbreak of First Punic War, Polybius "sets forth the notion of Rome as a strong, highly ambitious state concerned not so much with preservation of law and order as with advancing its own interests" (24). This is the same picture that emerges from the narrative of the Gallic Wars in present day North Italy and the intervention in Illyria, both told in book 2. Ch. 2 shows clearly in which way the narrative of the first two books of the Histories is fully integrated into the structure of the entire work, because "the books of the prokataskeue play a major role in helping readers to comprehend the character and preconditions of the expansion of Roman rule" (56). It should be noticed that there is in this chapter an implicit criticism of Craige Champion's book on the cultural politics in Polybius' Histories. In this sense, Miltsios played down the idea of a strong contrast between "Barbaric" Gauls and Illyrians and "honorary Hellenic" Romans, pointing out to the fact that Polybius did not try to ascribe the illogical behaviour of these peoples to their barbarian origin, but to their youthfulness, in the case of the Gauls, or to the female nature of their queen Teuta, in that of the Illyrians (54). This is a very interesting nuance of the issue of the "cultural otherness", because, as Arthur Eckstein has shown some years ago, there are many other threats to the moral order of the polis as imagined by Polybius, such as mercenaries, women, young aristocrats and the mob. All in all, Miltsios might be criticised on the same grounds, for instance, regarding his opinion on the action of Aetolians in Medion (Pol. 2.2-4). To the author, and in fact following a vast scholarship on the topic, the Aetolian action "shows not only their barbaric conduct but also their lack of judgement" (49). This reviewer would endorse the second statement, but the first one seems at the least doubtful. The reading of the book written by Claudia Antonetti  on the image of Aetolians in Greek thought from the Classical period could have helped Miltsios to nuance his image of a "Barbarization" of the Aetolians in the Histories, but also to take into account the own statement made by Polybius about the Aetolian Alexander as the richest man among the Greeks (Pol. 21.26.9). This passage makes clear in which side of the Greek cultural division of the world Polybius placed the Aetolians. In Ch. 3 Miltsios deals with the issue of temporal strategies, mainly "synchronicity" and "order" of the narrated facts, showing in a very convincing way that "the presentation of events often proves more eloquent than the remarkably extrovert narrator who makes it" (83). At the same time, the temporal displacement used by Polybius serves to enable readers "to transcend the incidental nature of events so that they can understand the wider patterns shaping human behaviour" (83). In this way, and against the classic statement of Ernst Howald about the lack of interest regarding the narrative of Polybius ("Es gibt keine Polybiosfrage") , Miltsios shows in which way this matters to understand the whole meaning of the historical work. In chapter 4 the author tackles the issue of "focalization" and "interpretation". Again, Miltsios shows in a quite stimulating way how Polybius by establishing wider patterns of behaviour was able to familiarize readers "with the sorts of reactions they should be expecting to encounter elsewhere in the narrative" (98). At the same time, the author explains how Polybius tried to teach his readers, using internal focalization, the importance of commanders' ability, such as Hannibal or Scipio Africanus, in order to gain insight into the plans and actions of their rivals and to exploit their weaknesses. In this sense, focalization in characters plays an important "role in conferring shape and intelligibility on the recounted events" (114). Finally, the last chapter 5 is, in the opinion of the reviewer, not a very original contribution. There the author wants to understand Polybius as a narrator and he gives consequently a clear and correct picture of the issue and concludes that the way in which the identity of the narratees is constructed in the text by Polybius is a very effective way of manipulating the readers' responses. This narrative construction allows the Greek historian to justify his own choice of subjects, to underline the importance of the narrative, to strengthen its reliability and to guide his readers' interpretation. 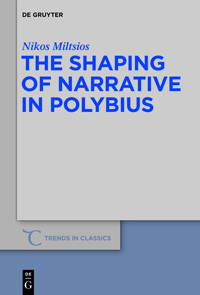 To conclude, The Shaping of Narrative in Polybius is a very important contribution to our understanding of the narrative artistry of a Greek historian who until recent years has received little scholarly attention. The book can be subjected to some criticism, mainly regarding its refusal to incorporate some French scholarship on the topic. All in all, Miltsios offers a convincing explanation of some narrative topics of Polybius' Histories in a concise and useful book of almost one hundred and fifty pages, whose reading might reward classicists and historians as well as scholars interested in the work of this great Greek historian and in his opinion on the development of Roman imperialism. Adriana Zangara: Voir l'histoire. Théories anciennes du récit historique, Paris 2007; Marie-Rose Guelfucci: "Des mots et des manières de lire: Le 'lecteur' de Polybe", in Ch. Kircher-Durant (ed. ): Nomina rerum, Nice, 1994, 241-57. 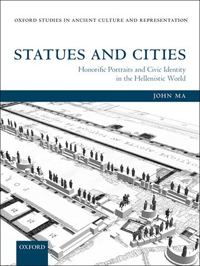 Among the bibliography on the topic: Brian McGing: Polybius' Histories, Oxford 2010, 95-128; James Davidson: "The Gaze in Polybius' Histories", JRS 81, 1991, 10-24; Tim Rood: "Polybius", in I. de Jong, R. Nünlist / A. Bowie (eds. ): Narrators, Narratees, and Narratives in Ancient Greek Literature, Leiden 2004, 147-64; "Polybius", in I. de Jong / R. Nünlist (eds. ): Time in Ancient Greek Literature, Leiden 2007, 165-81; Nikos Miltsios: "The Perils of Expectations: Perceptions, Suspense and Surprise in Polybius' Histories", in J. Grethlein / A. Rengakos (eds. ): Narratology and Interpretation, Berlin 2009, 481-506. Numa Fustel de Coulanges: Polybe ou la Grèce conquise par les romains, Amiens 1858; Franz Brandstäter: Die Geschichten des Aetolischen Landes, Volkes und Bundes, in drei Büchern nach den Quellen dargestellt, nebst einer historiographischen Abhandlung über Polybius, Berlin 1844; William Harris: War and Imperialism in Republican Rome (327-70 B.C. ), Oxford 1985 (1979); Peter Derow: "Polybius, Rome and the East", JRS 69, 1979, 1-15; Arthur Eckstein: Rome enters the Greek East. From Anarchy to Hierarchy in the Hellenistic Mediterranean, 230-170 B.C., Oxford 2008. 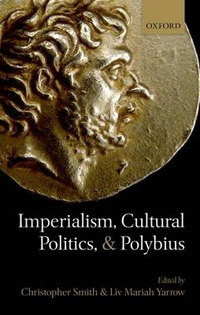 Donald Baronowski: Polybius and Roman Imperialism, London 2011, 15-60. Cf. Frank Walbank: "Polybius and Rome's eastern policy", JRS 53, 1963, 1-13; Peter Derow: op. cit. Craige Champion: Cultural Politics in Polybius' Histories, Berkeley-Los Angeles 2004. Arthur Eckstein: Moral Vision in the Histories of Polybius, Berkeley-Los Angeles 1995, 118-60. Claudia Antonetti: Les étoliens. Image et religion, Paris 1990, 133-9. Ernst Howald: Vom Geist Geschichtsschreibung. Sieben Monographien, Munich-Berlin 1944, 87.